The iPhone 8 won't be cheap. The long wait for the Apple’s next iPhones may be over sooner than expected, based on a new report that claims to have insider info on when Apple plans to unveil the new devices. Hot on the heels of Samsung’s grand unveiling of the Galaxy Note 8 today, carrier sources have supposedly informed Mac4Ever that Apple plans to unleash its device in just a few weeks. Apple’s keynote is allegedly slated for September 12 where the company will reveal three new iPhones. While we haven’t been able to verify the accuracy of the report ourselves, Apple usually hosts its iPhone keynote in the middle of September so the date could make sense. The French Apple blog claims that carriers have been informed by Apple to expect the device announcement on the second Tuesday of next month. Carriers usually receive a heads up so they can start planning marketing and to organize pre-orders to ensure inventory. If the keynote date does fall on September 12, the new iPhones will likely be available to pre-order on Friday, September 15. Units would probably hit stores the next week on September 22. Numerous rumors have claimed Apple is facing production issues on the iPhone 8, so we recommend taking Mac4Ever’s report with a healthy dose of skepticism for now. Event invites will probably come out during the first of September if it’s true. 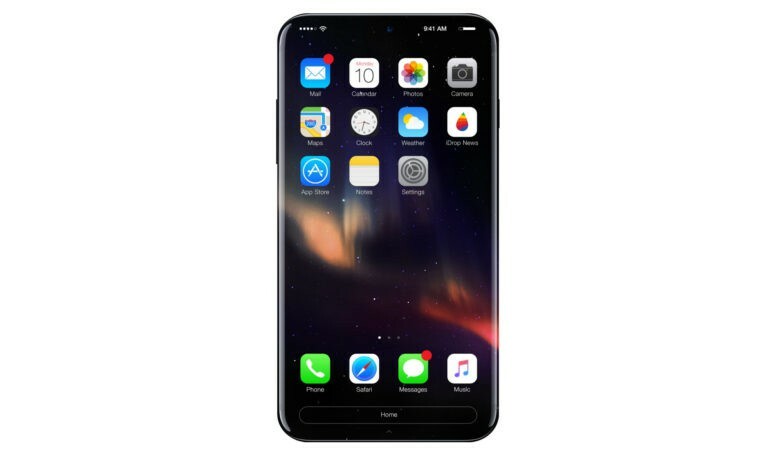 This year’s new iPhone is expected to be one of the biggest updates in years. New features could include an OLED display, 3D facial scanning, an all-glass body, inductive charging, improved cameras, an A11 processor and much more.